1) What is Medical Coding? Medical Coding is the process of transforming descriptions of medical diagnosis or symptoms and procedures into numeric or alphanumeric. 2) What is the requirement/Eligibility to enter into this field? Any Life science Graduation / Post Graduation, Medical Paramedical (Dental, Pharmacy, Physiotherapy, Nursing, Microbiology, Biochemistry, Biotechnology, Biology, Bio-Medical, Zoology, Bioinformatics, Occupational Therapy, Botany, Bioinformatics, Endocrinology, Nutrition & Dietetics, Anatomy, Physiology , Health Education) is the required qualification.Also Ayurvedic, Homeopathy, Unani and Siddha, medical graduates are also eligible person. 3) What is the future of Medical Coding Industry? Medical coding jobs are considered as one of the most important aspects of the financial reimbursement of healthcare providers from medical insurers. According to the recent survey report of the US Bureau of Labor, it is enlisted in the top ten demanding allied healthcare professions. Medical coding jobs are abundant in the India, US, Canada, UAE, Singapore as permanent basis. As the healthcare industry is flourishing day by day, medical coding jobs are always in demanding position in the coming years. 4) How long can I survive in this industry? 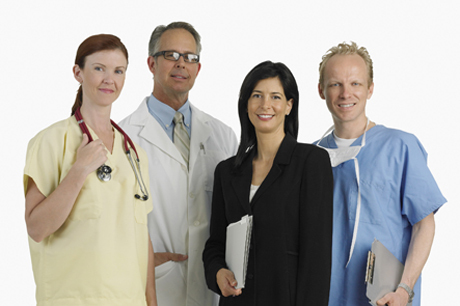 Jobs in healthcare industry are plentiful. Healthcare is considered as one of the very few recession free industry which keeps producing a large numbers of jobs everyday. In the US, the growing numbers of hospitals and such other healthcare institutions, an ongoing need of healthcare facilities and the huge demand of skilled workers make the healthcare jobs more lucrative for employees and aspirants. So those who select this industry as a career can be in this field till their retirement. 5) Is Training is needed for entering into this field? Medical coding is the highly specialized healthcare service which requires extensive training and technical skills in order to succeed in the job market. Most of the companies preferring only those who completes the Training in Medical Coding outside, because of the Cost and Time taken for train the untrained freshers. 6) What about the Job security in Medical Coding Field? Due to increasing patient inflow in hospitals, clinics and medical offices, the industry will be witnessing sky rocket demand for professionals. Even in time of economic turmoil when pay-cuts and layoffs are experienced by other industry workers, then healthcare jobs are of exception. 7) What about salary and other benefits? Healthcare jobs are extremely beneficial with handsome remuneration and other possibilities of career advancement in future. Apart from this lot of certification exams are there like CPC, CPC-H, CCS-P etc.